Summer is right around the corner and many parents are eagerly deciding where their children will attend camp. 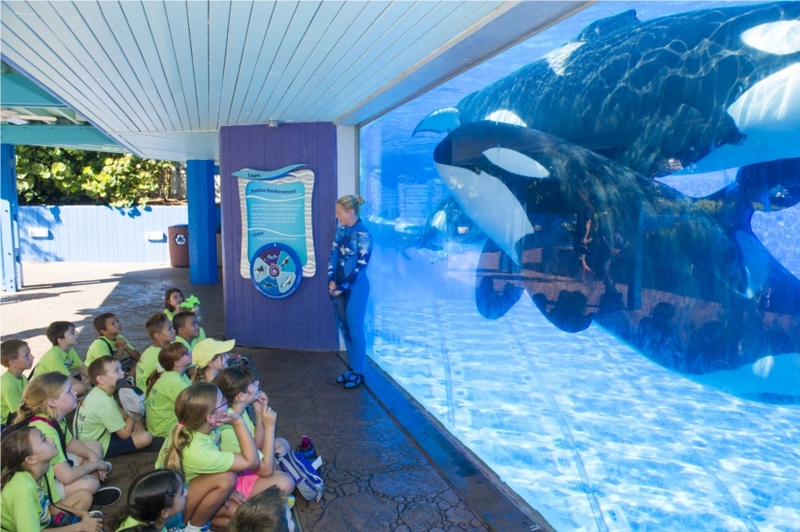 For hundreds of kids each year that answer is simple: camp at SeaWorld Orlando, where they can enjoy one-of-a-kind educational encounters that can’t be found in a traditional classroom. All camps include up-close experiences with marine animals to encourage a lifelong passion for wildlife and the environment. Registration is now open for 2017 sessions which run weekly June 5 through Aug. 4. 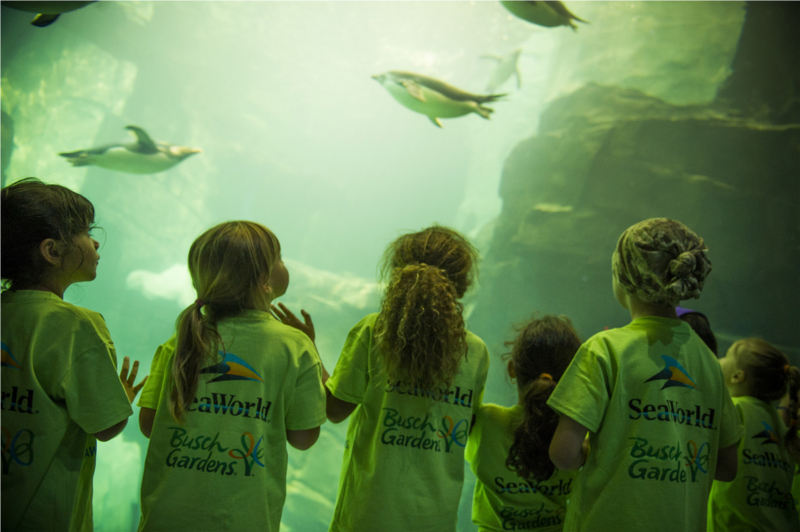 Each week, campers are immersed in the wonders of the sea through exclusive behind-the-scenes opportunities and educational sessions along with the opportunity to experiences SeaWorld’s amazing attractions, rides and shows. The opportunities campers receive are unparalleled: first-hand experiences with veterinarians, animal trainers and animal care staff. During camp, attendees around surrounded by aquatic life as they make friends, have fun, explore and create lifelong memories. 1) Day Camps: During their week, participants learn about a variety of animals, including whales, dolphins, penguins and sea lions. Campers focus on a particular theme throughout the week. Each day they learn about different species through songs, take-home arts and crafts, time with zoological staff, up-close animal encounters and more. 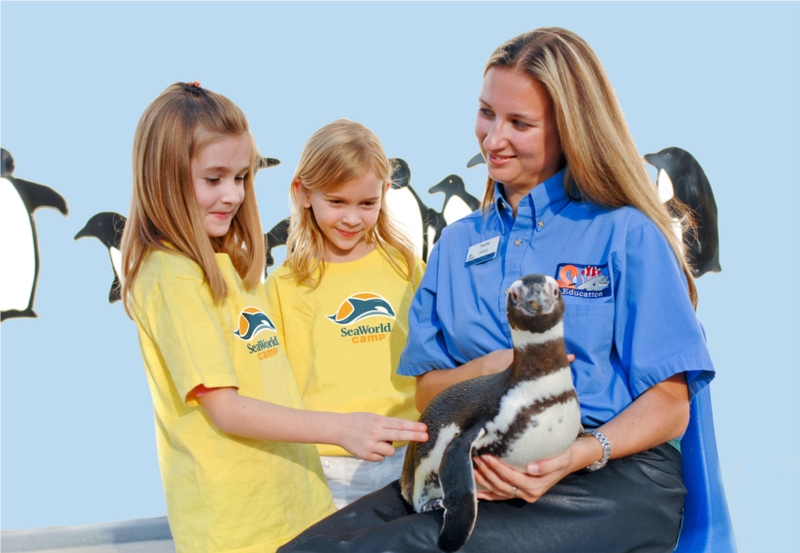 Children going into preschool through 8th grade can take part in SeaWorld’s Day Camp. Daily lunch, snacks, a camp T-shirt, and water bottle are included. 2) Resident Camps: Created especially for students interested in potential careers with animals, Resident Camps provide extensive experiences and hands on learning. Students going in to 7th-12th grade learn what it takes to train and work with marine animals. Sessions include personal one-on-one time with a penguin and other animals, the chance to snorkel while submerged in a shark cage, opportunities to work with the animal care staff and the ability to help SeaWorld’s team create enriching environments for the animals. 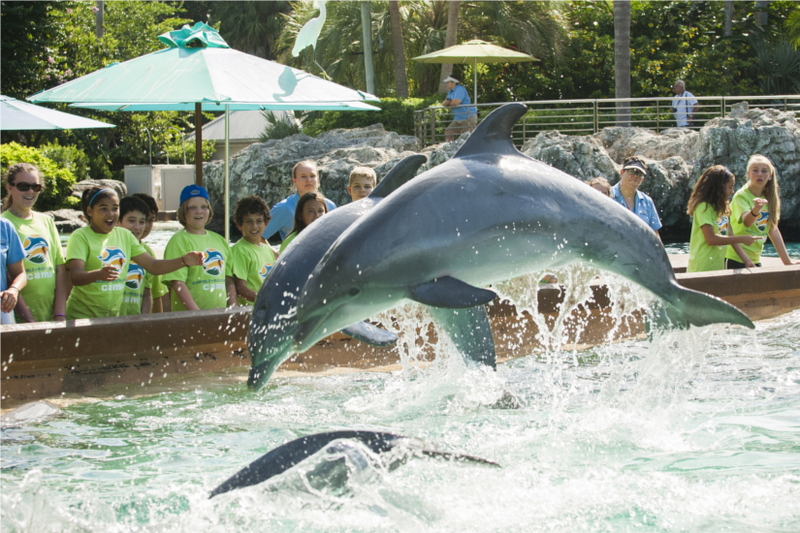 Residents also get to experience a full day at Discovery Cove, swimming with dolphins, snorkeling with tropical fish and rays, and feeding exotic birds in a free-flight aviary. Resident Camp fee includes all camp activities, lodging onsite at SeaWorld and at a partner hotel for five nights, all meals and snacks. Supervision and guidance is provided 24 hours a day for the entire duration. Resident Camps are so popular, many campers fly in from around the country; these campers receive transportation to and from the Orlando International Airport by the dedicated camp staff to start their camp experience. Prices for Day Camp start at $350 for one week; Resident Camp pricing starts at $1200 for one week. After camp care is also available from 3 to 5 p.m. for an extra fee. Parents are able to register their children online at SeaWorldCamps.com/Orlando or by calling 407-545-5550. PHOTOS: © 2017 SeaWorld Parks & Resorts Orlando. All Rights Reserved.